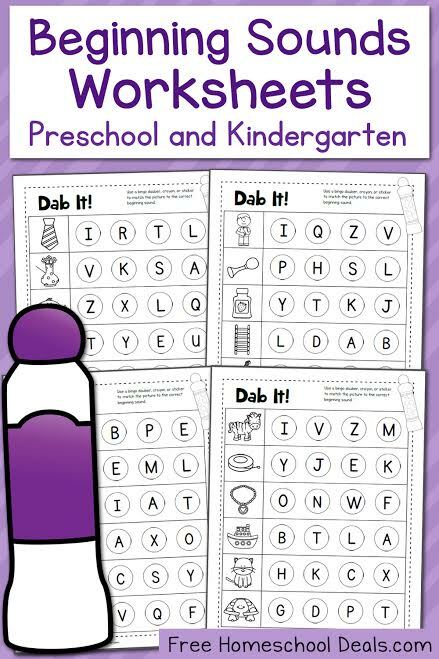 If you’re looking for learning activities for your young ones that don’t involve using a pencil, these Dab It! worksheets will be the perfect fit! While it’s important for early learners to practice fine motor skills using a pencil, there are times when they need to practice concepts in other ways. Using Do-A-Dot markers are a wonderful alternative! This set of Dab It! Worksheets focuses on matching pictures to their beginning sounds. Your child looks at each picture and then identifies the beginning sound with their Do-a-Dot Markers. You’ll find 5 pages of beginning sound activities, with all 26 letters identified including a few letters repeated. If you don’t have Do-a-Dot markers, you can certainly use small stickers, or even color in the circle with crayons or markers. If you’d like to use these same worksheet pages over and over, just place in a page protector and use beans or M&Ms or some other fun object to mark the correct answer. Get your FREE DAB IT! BEGINNING SOUNDS WORKSHEETS here!